Located on a hillside, in the center of Antananarivo, Palissandre Hotel overlooks the famous Avenue of Independence and is a perfect base to discover Antananarivo. 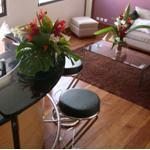 The property is located between uptown and what Andohalo what Analakely lower town located at his feet. D’en bas, the hotel is even more impressive and nothing to see outside, it exudes luxury and nobility noblesse.Une perfectly reflects its name : Palissandre. Hotel introduced the service ofOcation private plane since 2016 in order to experience the comfort to guests who want to explore Madagascar in peace and security. 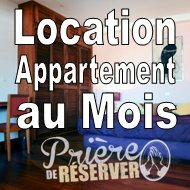 Of new apartments, kitchenette, office and Jacuzzi are now available for a short or long stay or in one of our Junior suites high quality. From its terrace overlooking the Malagasy capital, La Table des Hautes Terres Hotel honors the delicious local specialties alongside, à la carte menu as, fine French cuisine. For those looking for a beauty center with upscale care, the’Hotel & SPA Palissandre is the perfect place to be pampered, unique treatments with luxury goods. 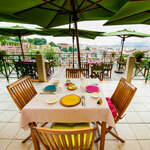 Au restaurant La Table des Hautes Terres and terrace with panoramic views. Enjoy fine cuisine, you will taste a true moment of pleasure. 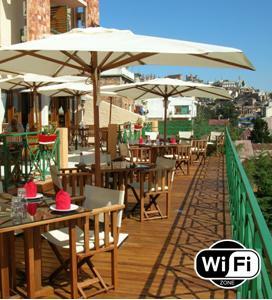 -Lunch and dinner: à la carte or cheap daily menu. Bar L'Amphore : offers cocktails cards and snacks. Monday, Wednesday and Sunday : Dinner at his piano. Friday : Malagasy party with free rum tasting and country masikita, menu and Malagasy music.